Born: 1870, Bridgwater, Somerset, England. Clement W. Sully, electrical engineer, was the son of G.R. 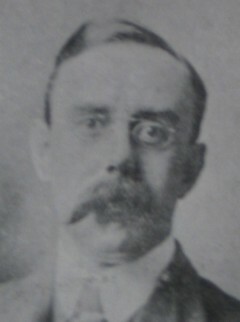 Sully, civil commissioner of Bridgwater, Somerset, England. He was educated at the Independent College in Taunton, Somerset, and then trained as a mechanical engineer at one of the railway shops of the Midlands Railway Company. Afterwards he trained as an electrical engineer at the works of Crompton & Company at Chelmsford, spending 18 months in New York for the firm. Sully came to South Africa in 1895 and worked as electrical engineer for the Wolhuter Gold Mining Company in Johannesburg. He then took up the position of engineer at the Klerksdorp Gold and Diamond Estates Company. Around 1899 he joined the firm Siemens, Ltd. and moved to Durban to act as their agent. By 1906 he was manager, in Durban, for the Technical and Commercial Corporation, Ltd., representing firms such as Siemens, Malcomes & Company, Allan Whyte & Company, and Hera Light. He appears to have left Durban before 1908. In 1897 Sully married Elizabeth King in Grahamstown. While still in Johannesburg he became a member of the short-lived South African Society of Electrical Engineers (1897-1899) and at its meeting on 11 April 1899 delivered a paper on "Communication". National Automated Archival Information Retrieval System (NAAIRS). . Documents relating to Sully, C.W.